Bucaramanga is located in the northeast of the country on the Eastern mountain range, branch of the Andes mountain range, on the banks of the Gold River; It is connected to the main cities of the country by road: with Bogotá, Medellín, Cúcuta and the Caribbean Region of Colombia; For air transport the city has the Palonegro International Airport. 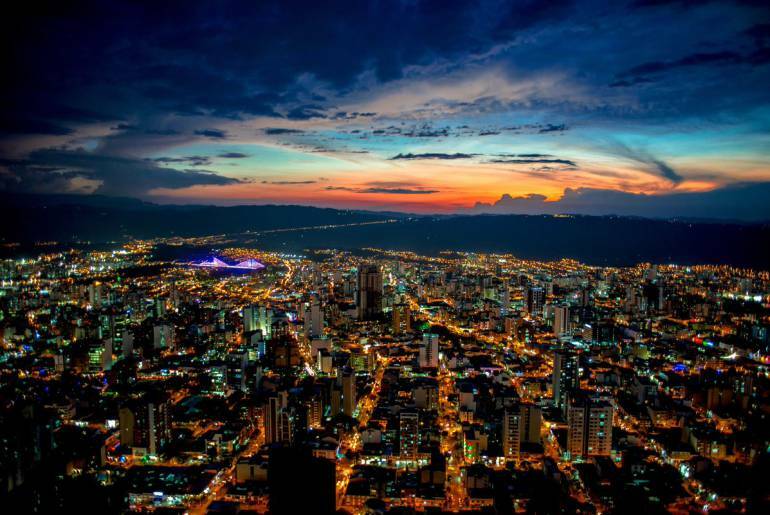 Bucaramanga is surrounded by the municipalities of Girón, Floridablanca and Piedecuesta that make up the Metropolitan Area. Its economy revolves around the footwear and leather industry. 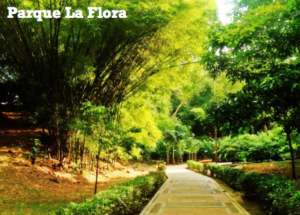 The tourism sector has taken force in recent years, has given the opening of new tourist attractions. 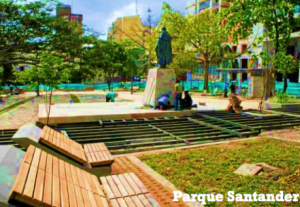 Bucaramanga has about 180 parks distributed throughout the city where families meet and take place different cultural activities. It is the capital of the Department of Santander, recognized for its footwear industry, children's fashion, leather and leather goods, jewelry, furniture, oil, among others. The city has free zones of the services and health sector, standing out the International Hospital of Colombia. This great project surrounded by nature and an infrastructure according to the ecological environment of the place, has as main attraction The Holy, an artistic sculpture of great dimension, a monument with 37 meters high perched on a mirror of water and behind it, a triptych structure with two panoramic elevators and a staircase, which reach a height of 40 meters; There tourists have access to the main viewpoint from where you can contemplate the best panoramic view to enjoy a full view of the four municipalities that make up the Metropolitan Area: Girón, Piedecuesta, Floridablanca and Bucaramanga, is the perfect combination of nature and a great view from the city. More About Cerro del Santísimo here. 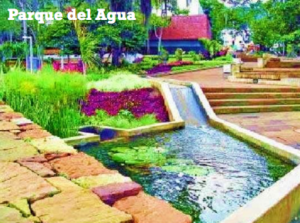 PANACHI, as it is known by its initials, is located 50 km from Bucaramanga. 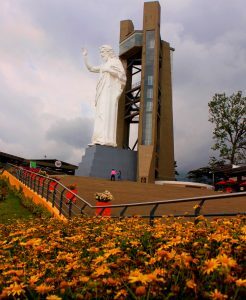 Since 2006, when it was opened, it is one of the tourist attractions of the department of Santander and Colombia. 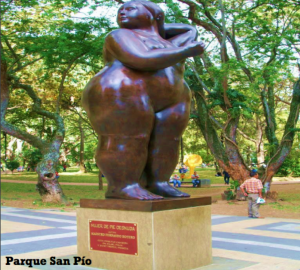 The park tells the story and shows the traditions of Santander through monuments, museums and craft squares. 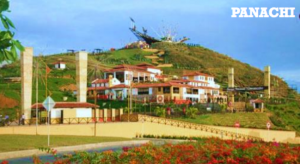 In addition, it also has the Acuaparque Nacional del Chicamocha, which is located in front of PANACHI. 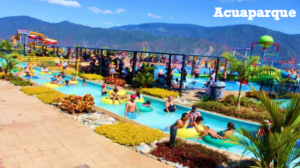 This park offers refreshing pools and slides with a great view of the canyon. 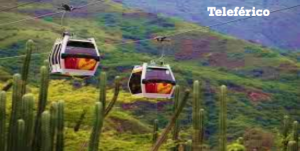 Activities and attractions: Cable car, goats park, ostrich park, customs plaza, buggies circuit, paragliding, 360 ° viewpoint, traditional restaurants, Guane museum, Monument to the "Santandereanidad", extreme swing.